Insects can be beneficial to the garden in many different ways. Some, like the European honeybee at the top of this picture, serve as pollinators. 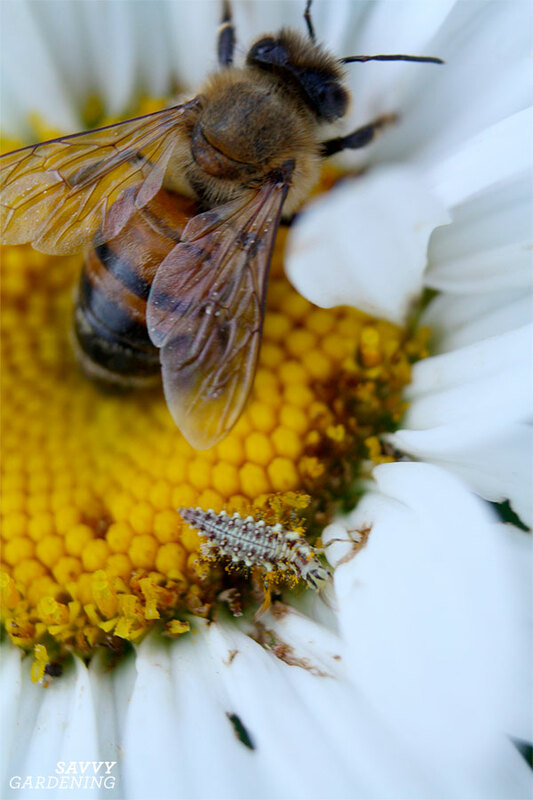 While others, like the tiny lacewing larvae toward the bottom of the shot, are predators, catching and consuming pest insects that feed on the plant. Though pollinators are more readily recognized by most gardeners, it’s also important that we learn to identify beneficial predatory insects as well. Protecting and preserving both categories of “good bugs” is essential to having a healthy and productive garden!